I am a little too young for hot flushes, but my hormones are certainly pumping HOT PINK through my veins lately !! 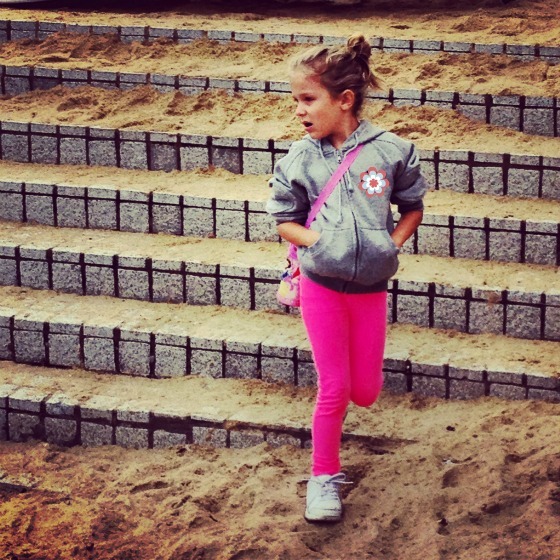 On Sunday my daughter’s pink pants brightened up the beach during our Sunday Stroll. ….but coming home I realised that it was not just a one-time affair. 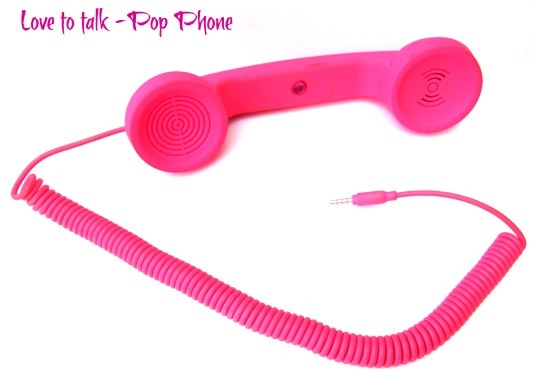 Me and HOT PINK have been having a little fling for a while now….and it always makes me HAPPY in an instant ! Maybe it started with this tree I bought one Sunday last year. Find it in this post. if you wanna refresh your memory. Seeing it bloom outside my window, certainly made me feel a vibe in my veins whenever I saw a pop of pink out on the streets ….and suddenly my shopping basket filled up with hot pink items over the past few months…one after the other like it was nobody’s business ! and I kept adding to the collection…… my mobile phone sling bag, my runners, my t-shirt…. I often wear these when I walk my daughter to the bus stop – and since this is at an hour way before I am bright eyed and bushy tailed….. where I have to rely on the attire to make me look like I have fully woken up already. I am sure it distracts others in the street from my pale face and droopy eyes that they otherwise would have noticed! (I am totally believing myself here !!). The same scheme made its’ way into my cupboard for the things I wear a little less casual….so, it’s just not a wake-me up color. It is still as reliable to work its’ magic in the evenings, as much as it does early mornings ! 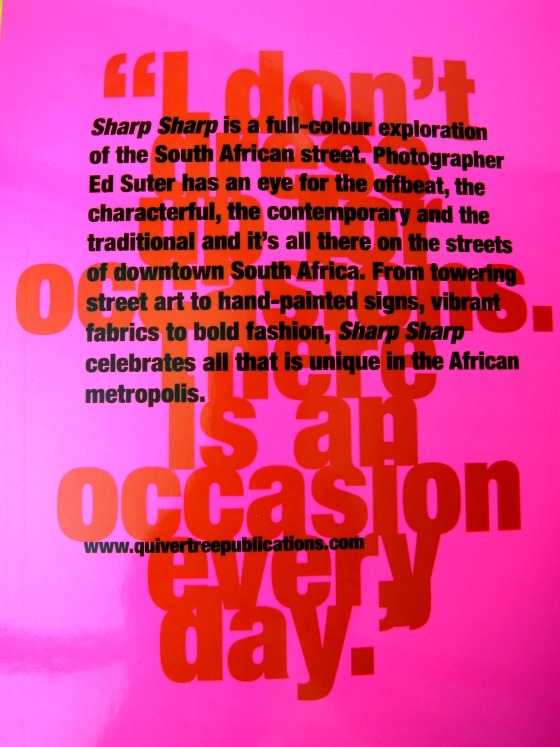 These items did not only end up in my cupboard, but also on my coffee table in the form of this fabulous photobook that I bought in November – “a kaleidoscopic collection of images that serves as a window onto the vibrant diversity of the South African street” – as the cover so accurately states. 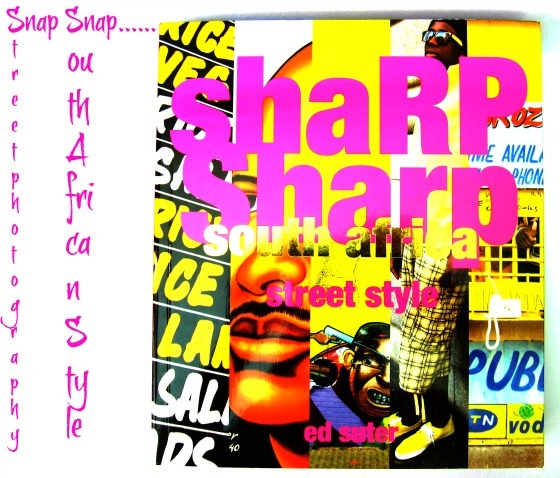 A book by Ed Suter about Mzansi style (Quivertree Publications). 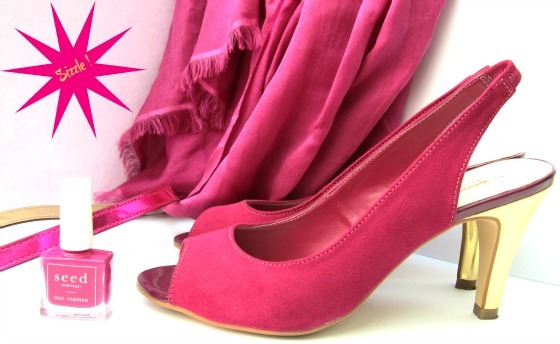 and although the pink caught my eye…. that is not all there is to this book, if it’s not YOUR colour right now ! 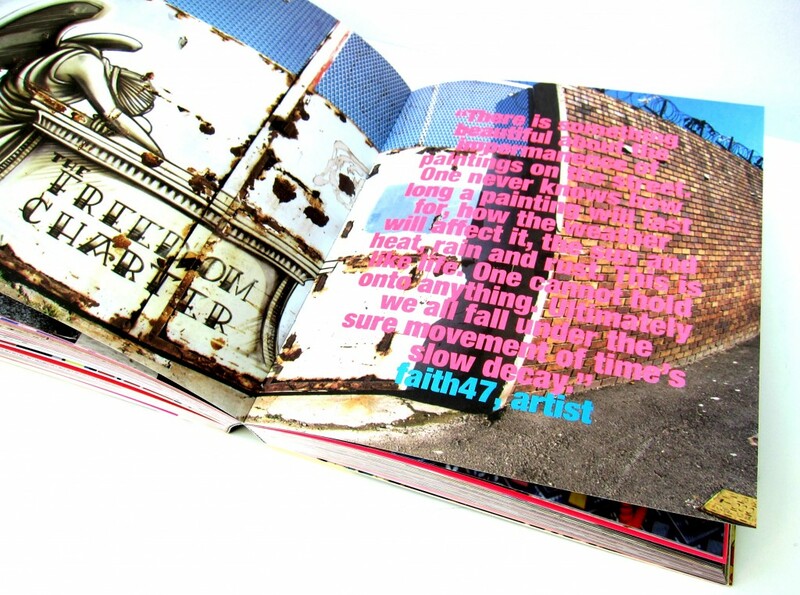 But a fun book to add to your collection if you love STREET STYLE. 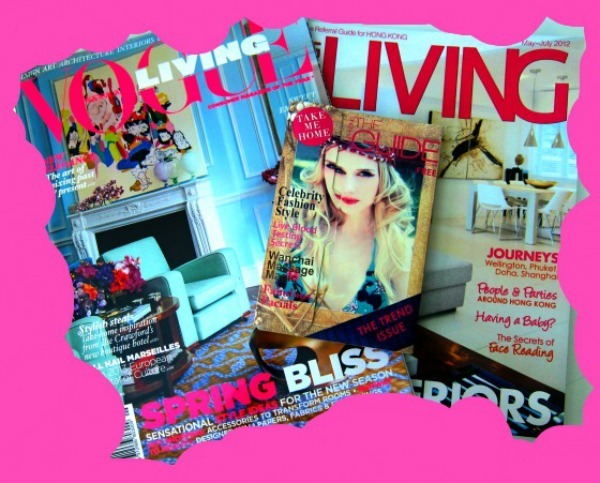 Is it possible that I am also picking up the magazines that have hot pink winking at me from the stalls…or even those free Shopping Guides with a hint of pink ?! 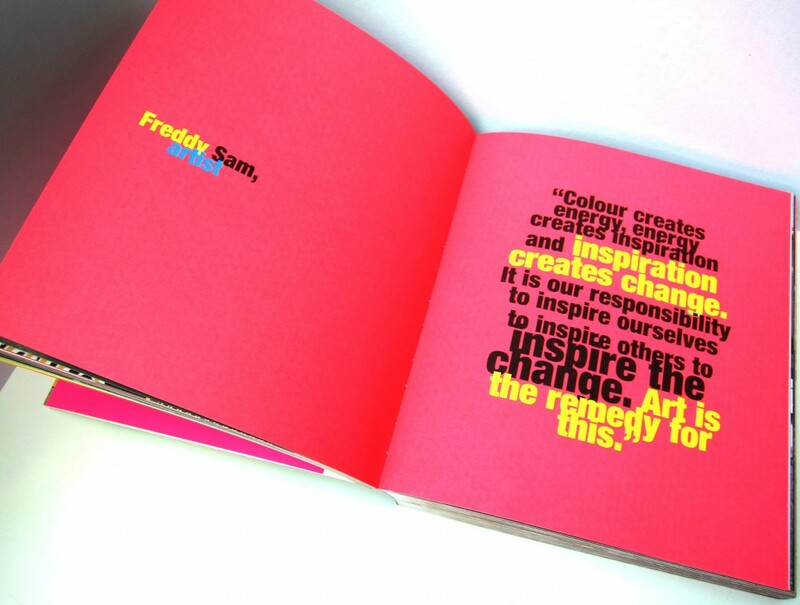 In the words of Freddy Sam, (quoted above in the picture earlier on) – I hope that this Colour today INSPIRED you , to inspire others to inspire change….even if just a change in your mood…. into a HAPPY ONE. 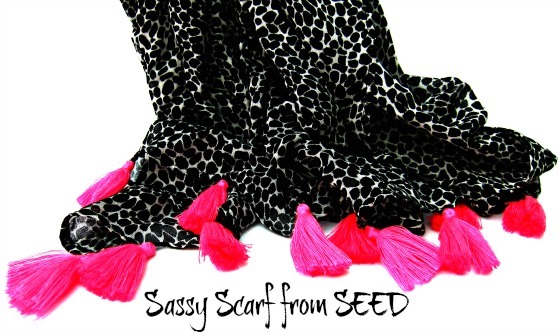 It just shouts out I AM HAPPY, I AM HOT and PINK is POWERFUL !! 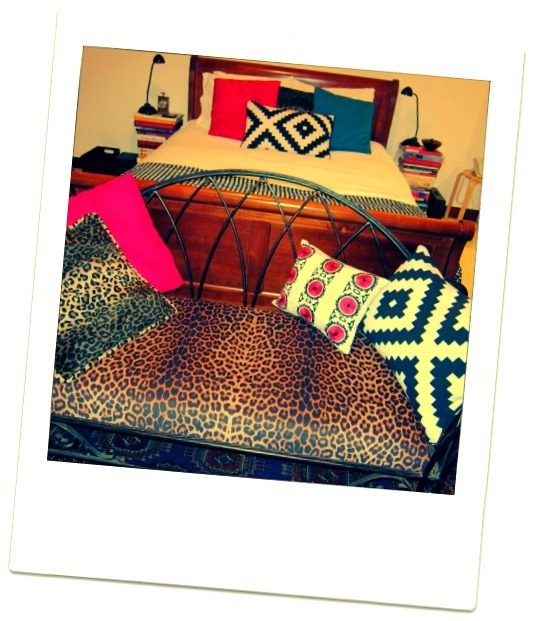 Oops – it even showed up in my bedroom …. 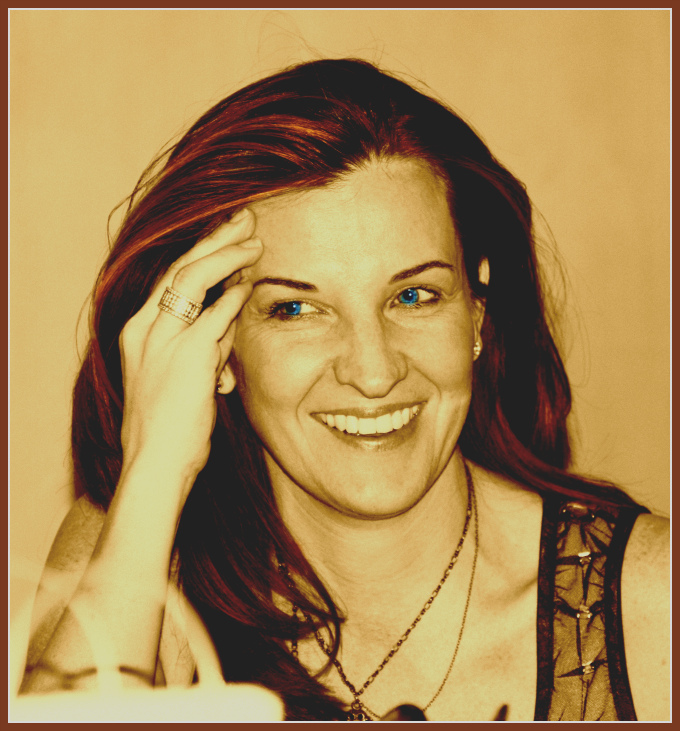 YES – I am officially HOOKED. And in a world of bright-red Hong Kong taxi’s, this bus was a bonus on my day out ! Let me know which colour is trending right now in your collection ! Have a Happy Week ! Hope it is as hot as mine…. 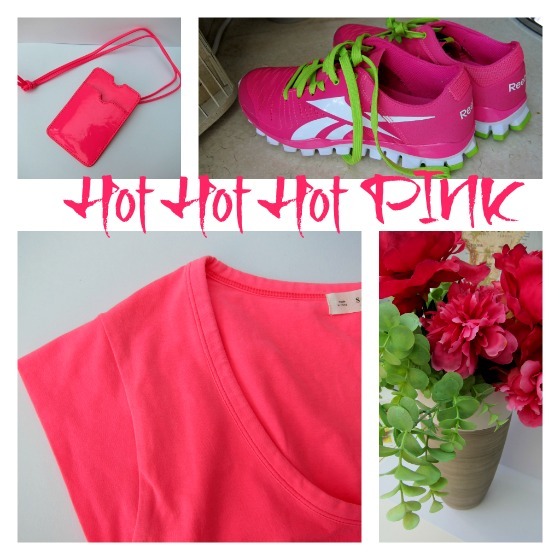 HOT PINK…. 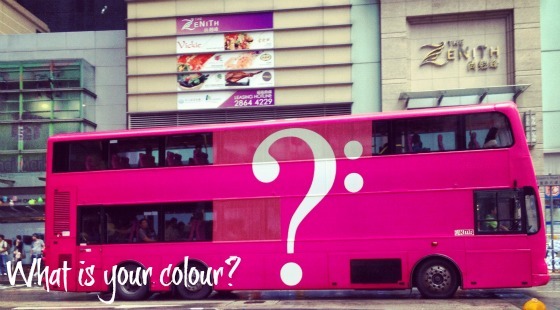 share your colour…… wanna compete? ?